1st Bagshot Poppy Collecting Cheerfully Despite the Rain! 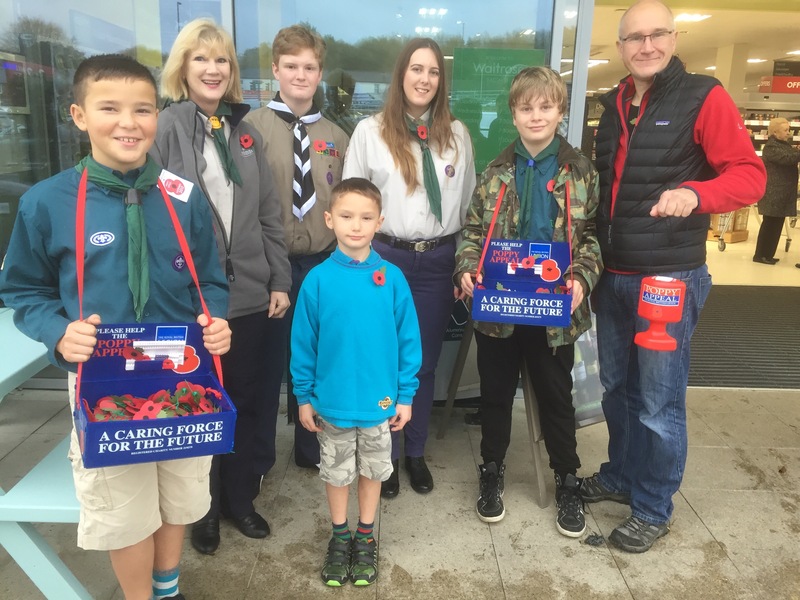 Thanks to Waitrose, Co-Op, Bagshot Cafe and the High St and all their lovely customers for contributing to The Poppy Appeal despite the weather. Well done to all the Beavers, Cubs, Scouts, Explorers and parents for keeping cheerful.